Due to high shipping cost, it is advisable to find a source of posts locally. Some general guidelines of what we find works in most circumstances is discussed below. This information is offered for budget purposes only. The type, size of post, and footing details are best obtained using a licensed engineer.. Engineering services are available for a fee through us.. 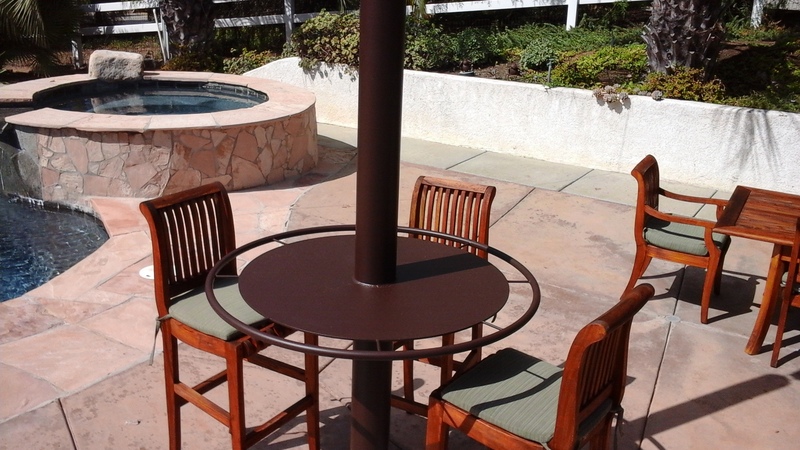 Provide a scale drawing or sketch of your project to get a quote. Fees usually range from $800-$2500. is usually found at a steel supply or pipe supply vendor. (Not at Home Depot) If timber posts are used, then we generally recommend temporary power poles with a preservative added to the wood. Don’t use dimensional lumber as it is not strong enough. 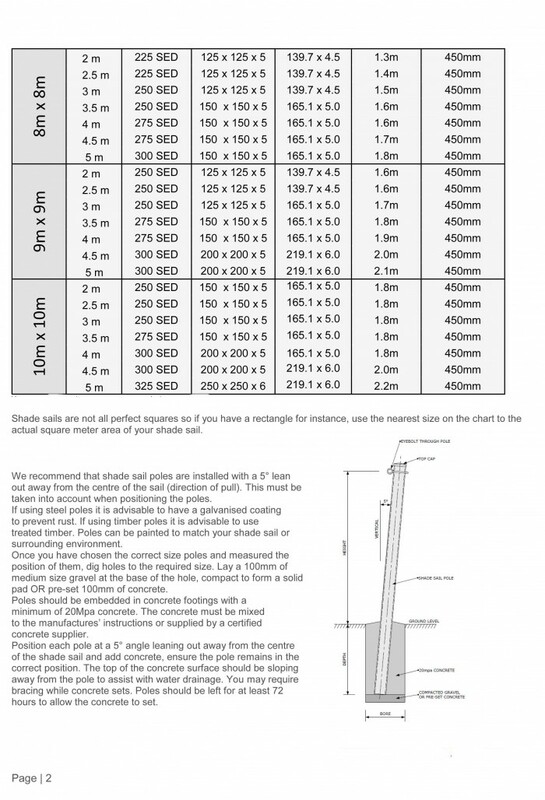 post should also be used with larger custom sails. 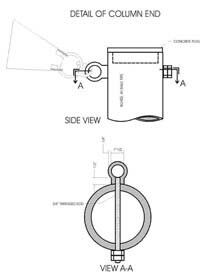 Install Eye nuts with threaded rod through the posts with the eyes pointed at the center of the sail. If you need to cut the steel pipe then we use either an angle grinder or circular saw with a metal cutting blade. ground). If you skimp on depth the post will get pulled over. 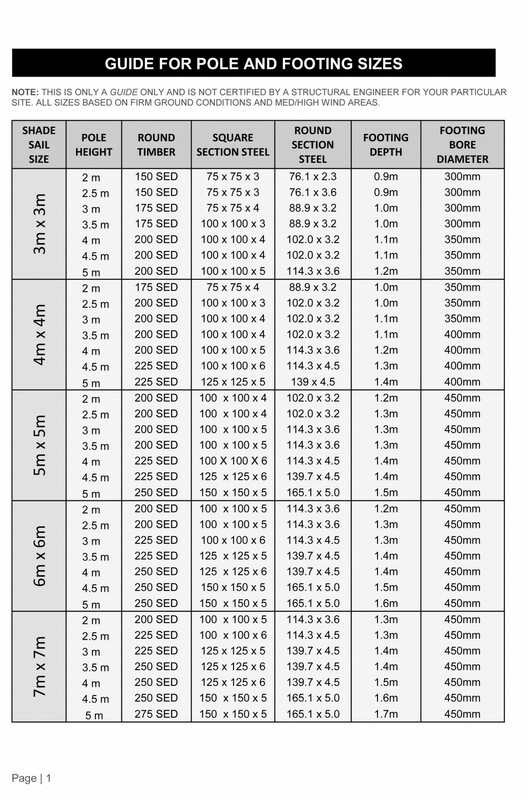 Pole Guide below is in metric.